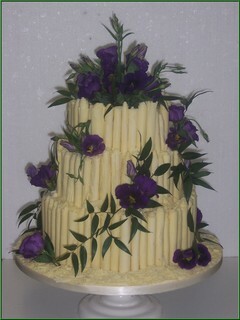 Inspirations cakes are a bespoke cake making service of which quality, individuality and presence is paramount. Whichever occasion befits a cake (wedding, christening, birthday, anniversary, celebrations) we are the experts to trust for that special occasion. A visit to Inspirations extensive luxury showroom is highly recommended with over 50 unique cakes on display for you to browse at your leisure. We have many photographs of additional versions to make your overall choice completely individual. We recommend tasting samples of fruit, sponge or chocolate cake and to discuss personal details with our qualified staff. All our cakes are made in open plan commercial kitchens, which can be inspected at any time. Your cake can be made using one of our extensive choices, including our range of cupcakes or something completely different using your individual style requirements.